To make it easier, I broke down what I did to better my writing into several steps. 1. 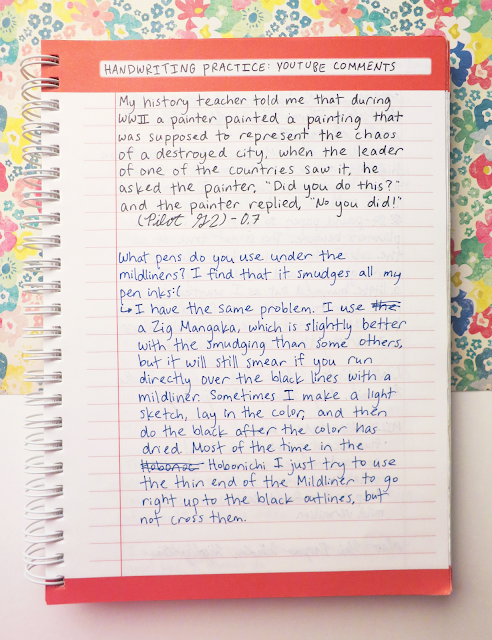 Do a writing sample. First of all, when you've decided to start to improve your handwriting, make a sample of your writing. You could either write out the alphabet or just random words, but all that matters is that you include all of the letters of the alphabet. Don't try to make them look pretty or anything like that; just write how you normally would. 2. Pick out the specifics. After you've created a writing sample of your handwriting, now it's time to pick out the specifics. By "specifics," I'm specifically saying strokes and symbols that should be improved (wow, look at that alliteration!). For example, I remember that when I decided to change the way I write, I wanted to make my "o's" and "a's" rounder. So, go through all of your letters and find the certain aspects of them that you want to change, whether it be the height of your lowercase letters, the roundness of letters, etc. The third step is to write out the alphabet over and over and over and over and over again (was that enough "overs"?). Make sure to be super aware of the things that you want to change; don't just mindlessly write the letters out. When you're at this stage, you should aim for consistency and neatness with the form of your writing. Also, make sure to go slowly. When you're trying to drastically change your handwriting, you can't improve at all if you're writing quickly. The last step is just plain, old practice; there's no replacement or shortcut for this. When I was improving my handwriting, I would just sit down and write continuously for at least half an hour almost every day. Just like with the previous step, make sure to continue to be aware of each individual stroke of each individual letter and write slowly. Again, aim for consistency! 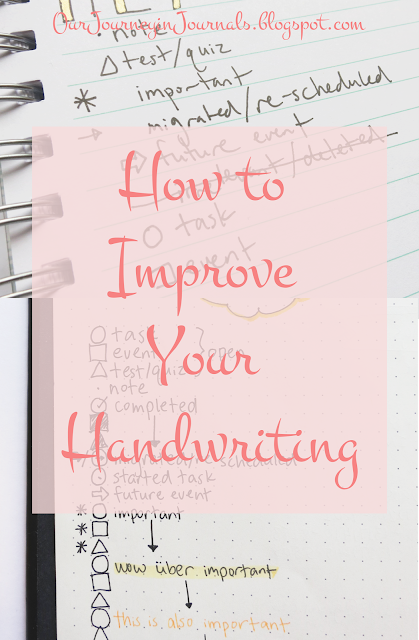 There are so many different ways to practice your handwriting (such as copying down song lyrics or journaling), and I've talked about 10 different ways before. However, you can just write out literally anything that you want to! You can even archive your practice sheets and date them so that you can see how you've improve over time. Be aware of how you're forming said strokes, and write slowly!!! I cannot stress enough the importance of consciously drawing each stroke and writing slowly when you're trying to improve your handwriting. It is incredibly essential. If you're not mindful with your practice, then you're just wasting your time. Of course, it's pretty impractical to write slowly in day-to-day writing, but when you are actively trying to change the way you write, it's quite critical. 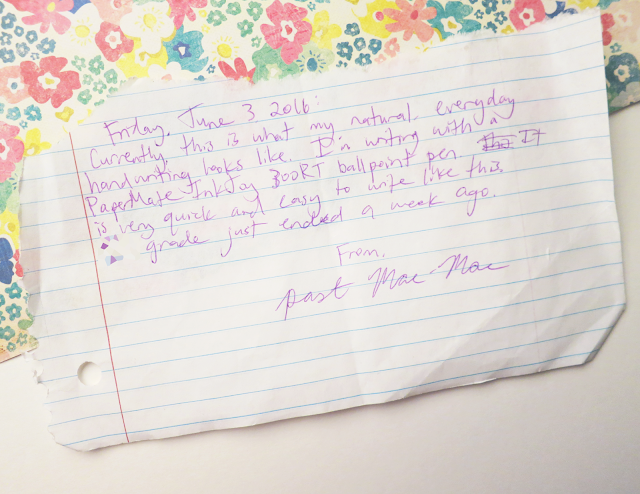 I hope this post helped you learn how to improve your handwriting, and good luck on your journey in changing it! 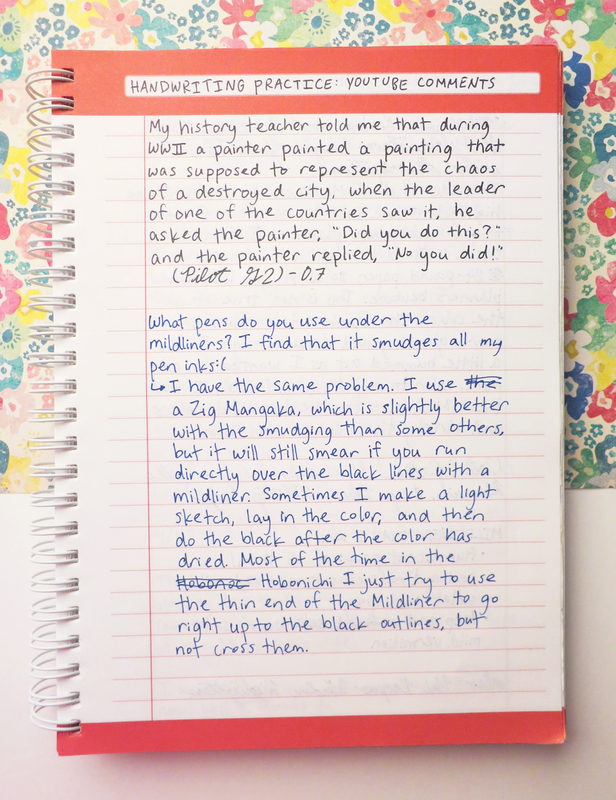 What tips or questions do you have about improving your handwriting? Leave them in the comments below! I grew up with nice handwriting. My mom and aunt both have extremely nice handwriting (my mom used to calligraphy), and it's what I've always known. My brother even has nice handwriting, so I really think it has something to do with my genes. Subsequent to perusing the introduction you will have the capacity to comprehend about sop for ms in electrical designing. The entire site to substance is tied in with knowing nuts and bolts of it. This mechanism is perfect but I think best way is to do maximum writing practice or you can consult from typingservice.org/hire-our-professional-typist-online/ site.Its best for this.Thanks. In the event that we tend to need to check the planet as a straightforward and this http://www.professionaltypist.net/professional-typing-services/manuscript-typing-services/ marvelous place wherever everybody is by all accounts are given an equivalent opening. Its great way to improve your writing skills.I really learnt a lot from this.You can also get good writing samples on http://www.handwriting2text.com/why-us/.I really learnt a lot from this website. This is great way to improve your hand writing. 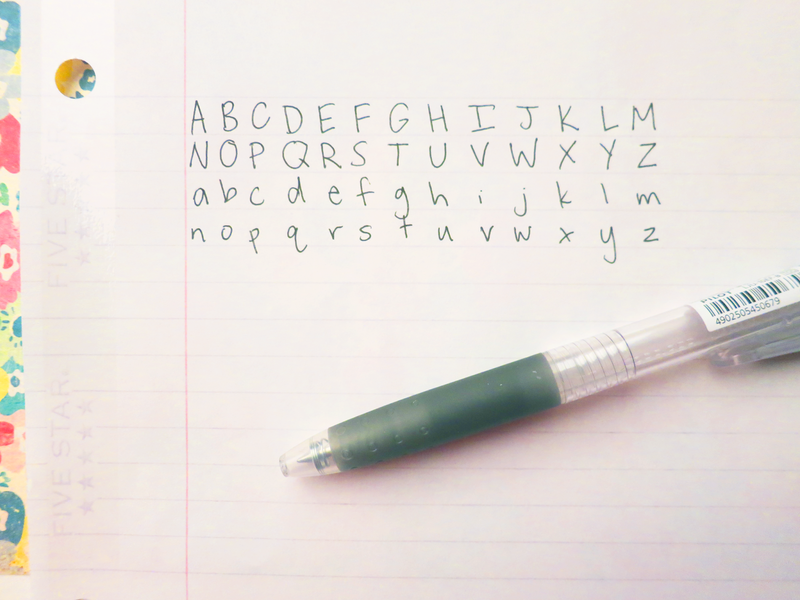 I will try this for my hand writing. Bcoz my hand writing is not very good. I think this tacniq will work for my hand writing. Wow this is an amazing article about Christian Ghostwriting . previously i read some article about it but i learn something new from here . keep writing like this only here here and you'll be get and helpful ideas on the subject of academic papers writing.